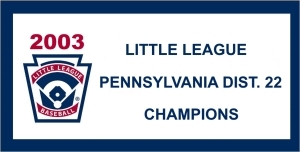 Little League Baseball Inc. is the largest, most respected and recognized youth sports organization in the world. 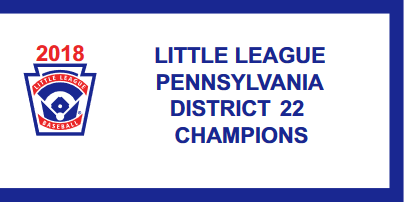 North Penn Little League is a member in Pennsylvania's District 22 of Little League Baseball Inc., that consists of over 300 teams from; Upper Moreland, Horsham, Hatboro, Flouertown, Erdenhime, Oreland, Wyndmoor, Lower Gwynedd, Norristown, East Norriton, West Norriton, Cheltenham, Bridgeport, Plymouth, Conshohocken, Abington, Whitemarsh and Northeast Philadelphia. Our regular season runs from April through Mid-June.There will be no schedule conflicts for players that participate in our Junior, Senior and Big League Divisions if they play in the middle school or the high school program. International Tournaments start in late June, starting with District Tournaments through the first part of July. We then go to Sections, State and Eastern Region Tournaments that consists of teams from; Pennsylvania, New York, New Jersey, Deleware, Vermont, Conneticut, Maryland, Washington D.C.., Rhode Island and Maine. From there we have the Internationally famous Little League World Series for each of the following; Little League, Intermediate, Junior League and Senior League, all are National and Internationally Televised on ESPN and ABC Networks! Only chartered leagues are able to play in these prestigious tournaments! Player Safety is a top priority; we will maintain our pitching rules throughout League and School play! "Little League Baseball is a program of service to youth. It is geared to provide an outlet of healthful activity and training under good leadership in the atmosphere of wholesome community participation. The movement is dedicated to helping our children become good and decent citizens. It strives to inspire them with a goal and to enrich their lives toward the day when they must take their places in the world. It establishes for them rudiments of teamwork and fair play." 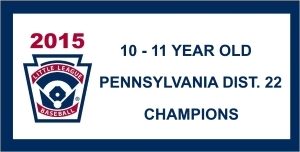 North Penn Little League is open to all children between the ages of 4 and 16. A player's age is based on the National Little League age cutoff of that given year. 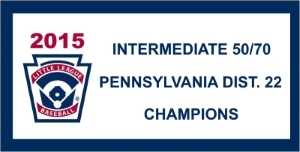 The league is open to players who live or go to any school within the established physical boundaries of the North Penn School District, Harleysville and Soudrrton. Subject to adherence to established rules and required parental support. In addition, player candidates must have parental or legal guardian consent.